These mesh dog boots are so simple to put on and so easy to wear that they make the perfect footwear for your fashion conscious dog. 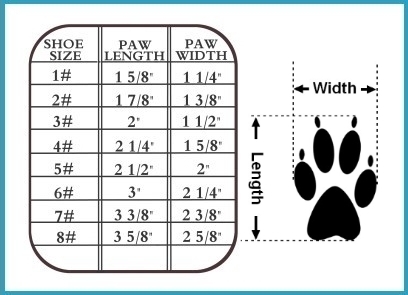 The protective dog shoes are a must have if you and your pup are headed out for a fun day at play. Dog walks have just become more fashionable & fun. Your dog will love wearing these lightweight dog shoes, whether he's new to wearing shoes or an ole’ pro. A couple days ago I almost lost my little furbaby because of a severe allergic reaction to him stepping on a bee. So at a recommendation from my friend, I bought these boots. They arrived today & I put them on him & he only did that awkward kick a couple times and then, away we went! He even was able to do that scratching thing they do after pooping & the boots didn't fall off! I am very pleased. Next paycheck, I'm going to buy at least one more pair, since they are going to be a permanent part of his 3x/day walks from now on. so far I like these, the sizing was a little big and we like them still. I love the zipper feature and it does have good protection behind it. These boots are fine quality and work just great to curb my allergy-prone pug's incessant scratching. He enjoys wearing shirts and took to the booties (I only use on back paws) well. They haven't fallen off or torn like socks and when he scratches, he can't scrape his skin raw. Thank you for a fine product! They're very cute and secure on the foot. I have purchased several pairs from them already and they always ship the orders out the next day. I did have thou return one pair due to sizing and even the refund process was super quick. Thanks!!! I've purchased several different styles of dog shoes from sneakers to sandals, but none of them stayed on for an entire walk (short ones). Lost several shoes too. I have a small dog with skinny ankles and these booties stay on. They are roomy so they seem very comfy. The velcro straps keep the booties on the foot. They're so cute people take pictures of my dog all the time!